. Anything else I wanna say is below, in accordion-format. 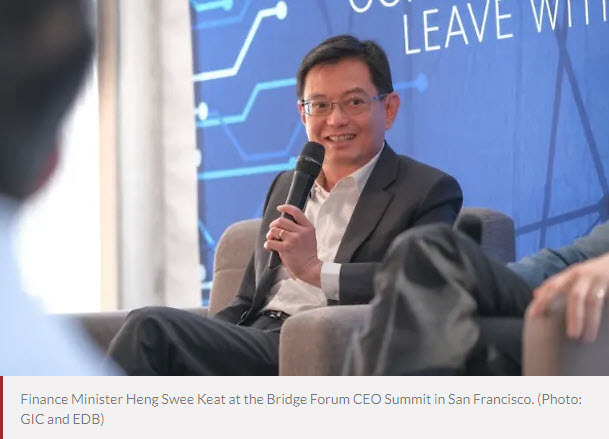 SINGAPORE: Singapore companies must respond quickly to the changing business environment while also taking innovation and technology seriously, said Finance Minister Heng Swee Keat on Wednesday (Apr 17). 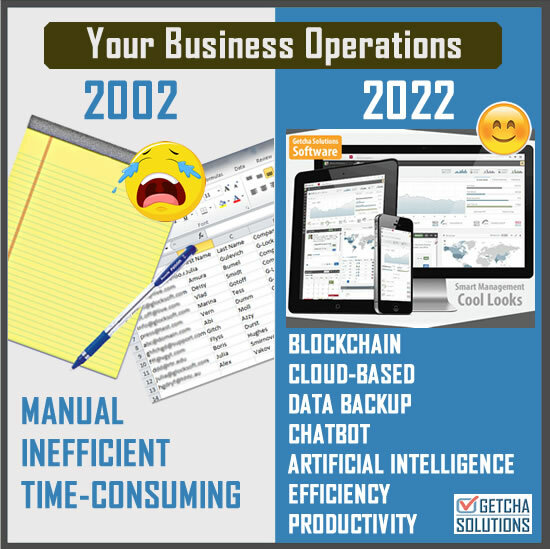 Let Getcha Solutions help you implement the latest and cool technologies in your business workflow and business operations. I need a web app developer for UI to create a web app to digitalize our application form online and save the data in the cloud system. The hiring process will also be online. 4. General manager, finance manager and business development manager are the only user that can reject and accept the applicant. We are looking to create a management reporting tool i.e excel sheet data containing our financial budget and creating a management reporting tool. This is the type of works I do. If you have similar needs, do contact me. Not just this, ANY features can be implemented. As long as there's logic to it, it can be done. Download this demo app to see them in action. Just met a client (sports industry) who needs a custom system for their suppliers worldwide to order the custom t-shirts from their company. And it's not some simple order form. There are just too many considerations and logic and order procedure to be taken note of, from Step 1 to Step X. This is a case where off-the-shelf management products won't help, and only a custom management system developer (like myself) can do the job. Just saying. Many people think that developing mobile apps is as easy and smooth and fast as using one. They are far from right. In fact, the more easier it is to use an app, the more hard/smart work the developers had to put into it. Singapore is going digital on a mass level. Businesses are going digital. Contact me to join in as well. The fight against hackers is an ever-going one. This is a new grant that is going to be available from 25th oct 2018 onwards. My service will fall under the Innovation and Productivity section. Now, you can have your custom automation and productivity system to improve your business, and be compensated for that as well. Contact me for a win-win situation for all. I have a super-systematic procedure to carry out even your MAJOR projects. Call me now to have your queries answered. When people ask me what do i do for a living, I tell them I develop Management Systems like this. What is HTTPS and why you should care? :: Contact Me to know how I can help you move to HTTPS. If you already have a website, I can "convert" that to a mobile app. Contact Me to explore this cool option. Case Study 1: How a First Aid Training Centre's operations went online, from paper, to the clouds. Case Study 2: How a Pest Control Multi-Vendor Management Company brought their operations online, to the clouds. Case Study 3: How a company integrated a Multi Level Compensation System into a Membership portal. Case Study 4: How a finance company conduct survey/questionnaire using an app. Blogging for Business: Is blogging just for fun or is it a serious business strategy? 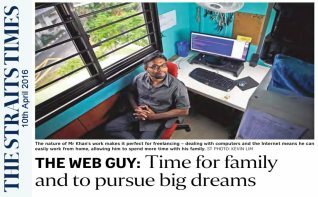 Web Developer Salary: Hire full-time employee or get a one-off freelancer? You decide. System Maintenance: My take on it. Web Developer and Programmer since 1995! A real, local programmer behind all your web site and mobile apps development and programming needs and solutions. Over many years, I have developed a core product called Getcha Smart Management System [GSMS]. I use this GSMS as the core with which I develop all the various types of Cloud-Based Management Software, Web Apps, Mobile Apps and Management Software as required by clients in various industries. And GSMS is not a static product but something that keeps growing stronger and better over time. Startup companies with ideas to implement. Business owners who wants to bring their paper operations (or Excel-file operations) to cloud/online. Clients who wants to be part of the fast-changing technology world, and not be left behind. Clients who have various types of programming and IT issues, even with their existing systems. I’m the consultant, I’m the programmer. You don’t get a sweet-talking sales or marketing executive to over-promise and under-deliver. You can talk straight to me. If it CAN be done, I’ll say so, and it WILL be done. No hiding behind words. A nation doesn’t become Smart just like that. It gets Smart because of the initiatives of the companies in the nation. Over the many years, I’ve played my part in making many companies do just that. 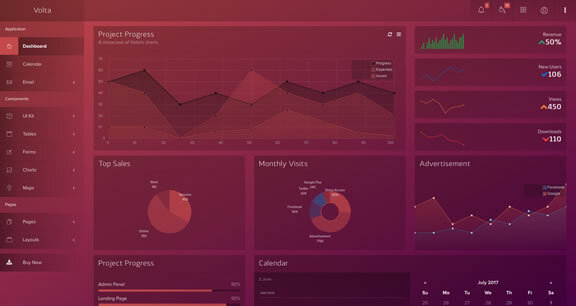 To improve their workflow, however unique it may be, so that they can continue their business “smarter”, in a more productive and cost-efficient way. This is not just for big companies. It’s for anyone, right down to the solo entrepreneur. Either during initial development or subsequent changes, you don’t talk to a sales or support representative. You talk to me directly. The more you talk, the more I’ll suggest better ideas. Not fancy ideas, but technically-possible ideas. And immediately too. Not: “I’ll get back after discussing with the programmer”. This is applicable for initial development and also subsequent follow-up requests. This is a common complaint by clients who have been burnt by other developers, who try to use ready-made systems to cater for your unique business requirements. It will eventually be faced with limitations and unsolvable bugs. My development is ground up/ custom/bespoke, so any exact, unique business requirements can be met to a tee. My daily work is managing clients like yourself, both new and existing. With their new ideas or enhancements to existing projects. You can call or email me with readily-available contact details (see page-top) and run any ideas or anything you have, in your head, through me and get a positive, fast response with good suggestions to move forward. I work from home. The cost I quote to you will be lower than what you’ll typically get. Try asking me. I've been there. I've done that. Every passing year didn't pass without me becoming stronger in what I do, which results in less headaches and shocks to you during development time. I'm actually a dinosaur in tech-years. I was there during the dot-com booms times (90s), putting companies onto dotcom websites, and now I'm still here telling people about the new type of app development, like progressive web apps, and such. Technology was magic, and it is still so, and will remain so. That's why I'm still in it. Your current business software is a) tying you down, b) has a lot of restrictions, c) has licensing restrictions, d) has per-user-based licensing, e) has too many features which you don't use, f) doesn't have the exact feature that will help you and your business, g) has a large learning curve, h) is not exactly improving your business! Then, your current business software NEEDS TO BE CHANGED! Web Developer / Mobile App Developer / Software Developer who develops ANY custom system to fit your business operational needs. No licensing restrictions, user restrictions or any such conditions. Don't settle for a ready-made software or system. Have it custom-developed. Why? Because it fits your exact needs (instead of being an overkill). And also there won't be a case of having so many features but not one particular feature that you need. Custom development gives you exactly what you want, no more no less. Also, you're not stuck with restrictive conditions like pay-per-license or pay-per-user. Further, there's almost no learning curve and no staff training needed. This developer can develop web apps or mobile apps (Android / iOS / Windows) so that you can get down to doing your management work immediately. 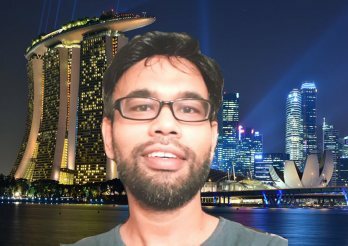 Singapore is going towards the Smart Nation concept. Don't be left out. Are you still running your business operations the same old-fashioned way? Everything is "Smart" nowadays. It's time to make your work-flow Smart as well. And don't forget: there are various grants here in Singapore that helps companies when they want to have such automation software and systems developed. 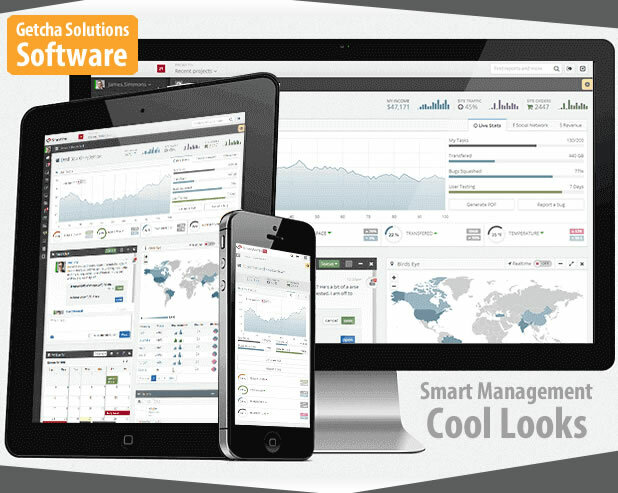 Your Management Software can look Like This! How I brought a First Aid Training Centre's operations online. Examples of Systems and My Services. "We are pleased and happy to recommend Khan's services"
He displays great knowledge and provide work-around solution to our request. His pro-activeness and forward-thinking have helped us along the phases of the software implementation. After-service support was prompt and responsive. Stop paying in currencies which fluctuate up and down, giving you a disadvantage. Transact in Gold. Retain your Advantage! "Organized, Efficient and Effective Web Developer"
Imagine a playground where students from all over the world gather to play and learn with each other. There’s something for everyone. You can learn individually or as a group, with familiar friends or with new friends from other parts of the world. "Proven to be a very professional web developer"
A training/attendance portal for a First Aid Centre. This App allows the client to conduct their practical first aid training in a paperless efficient way. It comes with automatic grading, attendance-taking with actual signatures, PDF results and attendance report generations. The VIP Hotel is a luxurious haven, nicely furnished to provide you with the most comfortable stay. Every guest in our hotel is a VIP. Situated in a quiet upper class residential area just on the outskirt of the city (Orchard Road), VIP Hotel is tranquility of a quiet neighborhood plus the convenience of city life. "Anees did an excellent job"
also anything else from index_temp7?